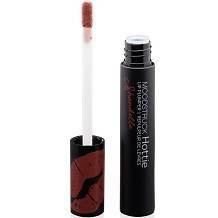 The review below focuses on the product by Younique Prestige, Moodstruck Hottie Lip Plumper. The manufacturer of this lip-enhancing product claims that their product contains key ingredients to plump the lips, keeping them smooth. This product is also claimed to be a transparent application. Continue reading this review. Learn the facts about this product. This product contains a long list of ingredients. Hydrogenated polyisobutene conditions skin, enhancing its texture. Hydrogenated polydecene is a non-sticky emollient, and tridecyl trimellitate, benzyl nicotinate, and portulaca pilosa extract are skin conditioners. Propylene copolymer is a film former that improves skin texture. Ethylhexyl palmitate is a smoother. Menthone glycerin acetal gives fragrance. Neopentyl is an alcohol, and glycol diheptanoate an emollient. Cetearyl ethylhexanoate, an emollient, guards skin against moisture loss. Tribehenin is a skin-conditioning agent, and isododecane and sunflower seed oil are emollients. Sorbitan isostearate is a surfactant. Pentaerythrityl tetraisostearate is a thickening agent. Peppermint oil is used for its cooling effects, while capsicum frutenscens resin provides plumping. Silica dimethyl silylate is an anti-caking agent. Glyceryl oleate is an emulsifier and a surfactant, while Palmitoyl tripeptide-1 and palmitoyl tripeptide-38 are collagen enhancers. Sucrose cocoate is both an emollient and moisturizer, while butylene glycol is a humectant. Caprylyl glycol conditions the skin and hair. Phenoxyethanol is a preservative, and limonene gives an orange fragrance. Sodium hyaluronate promotes supple, smooth-looking skin. User instructions are simple. The product should be applied on clean skin every evening, leaving it on overnight. It may be reapplied in the mornings, and frequently during the day. This product is available online, directly from the manufacturer’s own website at $27. No discounts or package deals are offered. The company does offer a subscription service, but these are known to be difficult to cancel, whilst the consumer’s credit card is steadily being deducted. This company claims to offer a money-back pledge to protect the buyer. However, the real policy is strict and does not offer sufficient time for clients to try the product. Product must be returned within 14 days of delivery. Shipping fees and handling charges will be deducted. Should clients return the product 15-30 days from delivery, they will receive 80% of the purchase price or the full price in a product credit or exchange. From 31-90 days permits the client only a product credit or exchange from the company’s store. Affording only 14 days to receive a full refund, this company does not give customers sufficient time to test the product. Moodstruck Hottie Lip Plumper appears a useful product. It is backed by a guarantee, although this guarantee is confusing and does not allow the user sufficient time to test the product. However, good ingredients are included, although the list is long. Users could find themselves allergic to any ingredient, being unable to identify which one. No package deals or discounts are provided that would save consumers money. Overuse of the product, could occur when applying something repeatedly which may not work on one application per day.